“If anyone knows about B&B, Karen does.” (Guardian) Karen owns Hopton House, a converted granary in Shropshire offering three bedrooms. Alongside her own bed and breakfast business, she runs regular courses for potential B&B owners. Here Karen shares her business expertise and thoughts on TripAdvisor, the ‘Marmite’ of the B&B world. 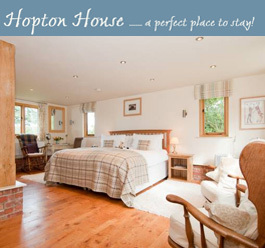 “I’ve been running Hopton House for nearly eleven years now and the B&B courses for a couple of years less than that. I’m often asked what the biggest changes I’ve seen in that time are. In terms of the running of the B&B it’s very much about guest expectations, they tend to be more widely travelled and the lines between hotels and B&Bs are getting a bit blurred. Internet access is one case in point – ten years ago it wouldn’t have been required or maybe it was just a nice to have, but in 2015, with the amazing growth of smartphones, it’s pretty much a necessity for many people. From my own travels I know that if there are choices of similar accommodation in an area, I’ll always go for the one with Wi-Fi access. I think the biggest changes I’ve seen are the ways in which B&Bs market their businesses. Tripadvisor; the marmite of the B&B world! All guests these days are potential amateur reviewers. Whilst having lots of great reviews is heart warming for the B&B owner, a negative review has the potential to cause serious damage to a business. Even now my heart skips a beat whenever I see I have a new review come through. Whilst receiving a bad review can ruin the owner’s day, it’s important to address the review and respond constructively. Tripadvisor reviews have shown that potential guests are more likely to choose to stay at a B&B if they’re taken to respond to negative feedback in a positive constructive way. The OTAs such as booking.com are changing the way people book accommodation, and many B&Bs can have a bit of a love/hate relationship with them. OTAs can bring us a lot of business with no upfront joining fees but the commission they charge is high and the guests haven’t always understood what they should expect in their B&B. I think B&B owners need to make a decision about whether they will use the OTAs and then how will they use them. Whilst I don’t use them myself (I’m on booking.com but haven’t yet released nights to them), I think they can be very useful ( and possibly essential ) to some types of accommodation providers. Many B&Bs have always relied on word of mouth to promote their business for years, and social media is the ultimate word of mouth. Social media, be it twitter, facebook, Instagram or even blogging, provides B&B owners with a great way to attract new guests, meet suppliers and keep in touch with repeat guests. I filled a room last minute following a cancellation using a promoted Facebook post last week. Better still, when you attract someone on social media and they like what you offer, they’ll then go back and recommend you to all of their followers. Whilst paper advertising in magazines and tourist guides has been steadily declining, digital advertising has been on the increase. I find both Facebook promoted posts and Google adwords are an effective way of marketing my B&B. Google adwords particularly are becoming quite complicated to manage these days. I’d always suggest getting a recommendation for a digital marketing company to help you get started (although avoid those that cold call you offering top place on Google). These days marketing is as an essential part of running a B&B as cleaning the rooms or cooking the breakfast. If it’s something you enjoy then great, if not then find someone who can help you. There’s lot of support out there locally via local tourism associations and groups. On the 17th December 2010 freetobook took it’s very first customer booking…to our customers that makes us 2 years old (even if we were established in 1998), party time! It does seem a long time ago, much has happened and so much has been learnt and applied. Going forward we will bed down the TripAdvisor link and will very soon finish work on mobile enhanced results. We are in discussions with more channel partners, including Venere.com, Hostelbookers, HRS, BudgetPlaces, Hostelworld, Hotels.com, TravelRepublic and Expedia. We are also starting development on some clever tools, such as a online merchant account and a system that helps you work with other freetobook users! We are also looking to make translations available to all our International customers. These are all designed to help you get the most from your freetobook account. When we set out to build freetobook (well over 3 years ago) we had one goal in mind; to build the best online booking system in the world for independent accommodation providers. I suppose that in itself is not a such crazy ambition but we also wanted to make it available to all small independent businesses….that created lots of puzzled looks and a good degree of scepticism. For us building a great service is all about putting our customers in the driving seat, understanding what matters to them and why. We were lucky because we already had 11 years in the “booking business” and had honed processes and systems to create simplicity and maximum efficiency. We had seen at an early stage how powerful the internet would become and then witnessed first hand it’s ability to increase reach and exposure exponentially. We had marvelled at how the linking of the digital world with clever software simply made life so much easier for our customers, it was trend that was clearly going one way…..up. It was perhaps that realisation more than any other that led us make freetobook an open system (available to all). We invested early in creating our own software development capability by getting in some of the best people available, and keeping them. People like Eleanor who has been with us for over 8 years add tremendous value to the system and service that supports it. Across our team, over 75 years of booking experience has gone into freetobook. These capabilities gave us a platform to be creative without risk, to understand and experiment without crippling costs. It also taught us that the true value of any software lies in the people that create it and those that use it. Also that the software itself is always “a work in progress”, and that just as with children, you get out what you put in, you need to feed, nurture, care for and cherish them in order to give them the best possible future. Those values probably derive from us being a family business. As two brothers you can also be sure that there is not always a pleasant nodding of heads and calm contentment, there is belief, there is passion, there is trust and there’s just plain old sibling rivalry! In many senses the differences are our strengths and that’s another lesson we can take and use everywhere, but what unites us is that we have always tried to put the customer at the centre…. simply because it’s the right thing to do. It has been an exciting 2 years and we have made mistakes that we are only just realising and correcting. We put freetobook out there in the market as “free”, which of course it is (and will always remain so), but perhaps we undervalued our knowledge and experience in building quality systems and services. Our customers use freetobook not because it’s free but because it works well for them and they enjoy and benefit from it. These words are such a strong encouragement to us and we are very fortunate to have such generous customers. We have not invested in an army of sales people with clever ways of instilling fear and doubt in prospective customers, instead we have tried to build trust and help our customers wherever we can. The vast majority of our rapidly growing customer base have come from other customers recommending and talking about their freetobook experience, be that face to face, on social media or in their various associations. We also needed to articulate the “freemium” model more clearly to answer the perennial question “how do you make your money then?”. At the start that wasn’t easy because we didn’t have any premium services to offer our customers! The “freemium” model is widely used in many software services and has two parts – a free product or service (i.e. our booking engine/diary) and then premium more advanced features and services that are charged for. There have been some great achievements; the Ayrshire Bed and Breakfast Association’s online booking website (a global first? ), a great value channel manager, the addition of cottage and hostel style availability, properties in over 80 countries using freetobook, Ways to Sell, being selected as preferred supplier for Punch Taverns….these are just a few and there are many more to come. As we write this there are 10 current/live feedback forms in the freetobook system and every single one gives freetobook 10/10…thank you! Many of freetobook’s achievements are a direct result of your input, your requests, queries, concerns, passions, quirks, suggestions etc. keep them coming! Thank you for your tremendous support, encouragement and belief. Busy days ahead! We continue to upgrade and improve the freetobook online booking system. Many of you have asked for an easy way to see if bookings have been paid, we think we have achieved that for you. When you next login you will notice the new coloured icons showing on your “Diary” page. These can be used as a quick glance indication of payment against bookings. Red means no payment made against the booking, Amber shows that the booking is part-paid and Green is fully paid. As you can see each booking has a little coloured icon showing you the payment status. When you enter payments against the booking it will automatically change colour to tell you the new payment status. The full page of your online booking diary shows like this. If you want to add a payment to any booking all you need to do is click on the booking and hit the payment button. Freetobook is already a leader in online bookings systems, we are confident that online booking with us is already the best available, that said we continue to make it even better. Upgrades are usually a result of listening to “you” our customers. 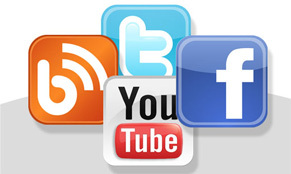 If you would like to engage and share with us check out our facebook or twitter pages. Case Study: Freetobook’s channel manager brings more bookings to Ardgye House B&B in Elgin. In the current economy, many independent accommodation providers know all too well the importance of getting new business. It’s a challenge, especially if you can’t afford expensive campaigns or newspaper advertising. Freetobook now offers some help: an easy-to-manage connection to LateRooms and Booking.com, which allows you to update your availability on both those sites quickly and easily via your Freetobook diary. 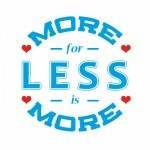 It’s true that some property owners are still wary of LateRooms and Booking.com, concerned that the commission charged by these Online Travel Agents will erase their profit margin. But experience has shown that many accommodation owners who take the plunge really benefit from the increased exposure. The internet is just so big and managing to get your property in front of the customer at the right time is no easy task. One Freetobook customer who has definitely benefited from the extra exposure is Kerry McInnes, who runs the 4-star Ardgye House in Elgin. A beautiful 5-room Edwardian property, built in 1904, the Ardgye has been welcoming guests for over 20 years. It boasts sumptuous Family, Twin and King Rooms and is rated #1 on TripAdvisor for Elgin B&Bs/Inns. None the less, Kerry had noticed that it was becoming harder and harder to compete for attention in an online world where paid results dominate the first page of any accommodation search. Already offering online booking with Freetobook software, Kerry decided to integrate with LateRooms via company’s channel manager. Kerry is well aware that some accommodation owners feel they’ll lose money on booking by going down this route, but she doesn’t share that view. We all know that in the current economy every extra booking is precious. We also know that an accommodation owner’s time is valuable. There are always a million things to do and not nearly enough time to do them in. With that in mind, freetobook now offers you a channel manager that allows you to connect to Booking.com and LateRooms and update them direct from your freetobook diary. Thanks to this new functionality, you’ll no longer have to update lots of different systems. One diary will automatically update them all so you can never go over-booked. It’ll also allow you to alter room rates across different sales channels from one place. And each time a booking is made, it will go straight into your diary with all the customer details (phone, email, and prices) captured. Not only will this new functionality save you time and increase room sales, it will also increase your exposure via the world’s leading booking websites and eliminate the worry of double bookings. To find out more about how our new channel manager works and all the benefits it can bring you, go here. Everyone offering online booking for the first time will be concerned that they’re losing the personal and bespoke service that their guests used to appreciate. So by offering online booking, will you lose “that loving feeling”? Phone bookings by their very nature give you a great opportunity to understand your customers and their requirements right from the outset. The customers can ask questions and you get a feel for what they are expecting and hoping to get from their stay. Offer your customer a choice of booking processes. Some will want to call, but many just prefer to book online, it’s convenient and some see it as easier and faster. Develop your website around your booking process, have the booking button and your contact details in the same place on every page. Ensure they are visible immediately as the page loads…that’s why your customer is on your site! Answer any email queries quickly and politely. If you are away for a few hours, set an expectation as to when the customer will receive a reply. Make it personal, standard impersonal replies don’t wash. If customers have booked online, feel free to call or email them for additional information. Indeed, even if you don’t require additional information it’s a great opportunity to win them over. A friendly call to follow up an online booking with relevant and helpful questions has an almost magical effect…it shows you really care. Why? Because customers don’t expect that level of attention online…it’s a nice surprise. You can ask the relevant questions, what are they planning to see and do in the area, is there a special reason for their travel? Of course you have to ask these sensitively, but that’s what service is about. If you are not confident, ask the easy questions first to get a feel for the customer, i.e. what time will they arrive, do they know where you are? Always explain who you are and why you are calling at the start. Based on the call you can send them extra information they will find helpful, a map, list of events, restaurants you can recommend…the list is endless. If you don’t feel up to calling at first, send them a “thanks for booking email… and here’s some helpful info – directions, attractions, events etc” and measure the response. These can be more template-style emails with a bit of personalisation at the top (include their booking details in the subject title, so it follows on from their confirmation). Adding value to the booking process means you can ensure that your guests get the most out of their stay and you get a better idea of who they are and what their expectations are…it’s a win-win, try it. Following up on online bookings is a key service differentiator for independent accommodation, the big guys don’t do it and couldn’t if they tried.